In the XVIII–XIX centuries, the parks of the Imperial residences and the estates of the nobility were often decorated with different architectural delights: pavilions, bridges, caves. Tell about interesting buildings in the parks of Moscow and St. Petersburg. In the XVIII century one of the most popular trends in Park architecture was the construction of so-called "hermit shelters" or "Hermitage". 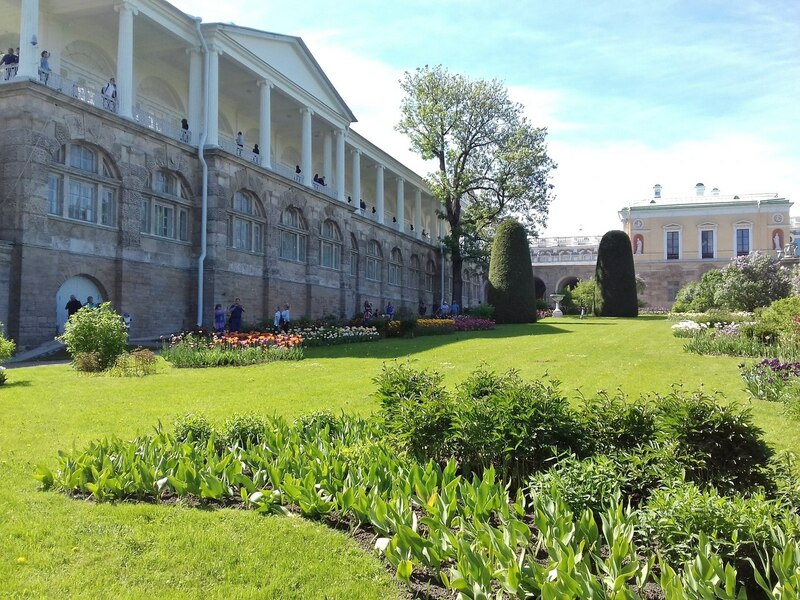 Peter I followed European trends and ordered to build such a pavilion in the Nizhny Park of Peterhof. 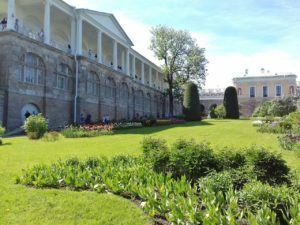 However, Peter I did not have time to enjoy his Hermitage: the architect Johann Braunstein completed the construction works after the death of the Emperor. The architect erected a small two-storey building with large glass doors, surrounded by a wide moat. The main engineering feature was hidden inside the pavilion, where there was a kind of Elevator — a lift chair, with which guests got from the first to the second floor. The beloved architect of Catherine II, Charles Cameron built this gallery in 1784-1787 by the order of the Empress for her walks and philosophical conversations with her family. The building consists of two tiers: a massive stone lower, where once there were rooms of ladies of waiting and court ladies, and an elegant upper colonnade with a beautiful view of a Large pond and a landscape Park. The gallery is decorated with busts of ancient philosophers, politicians and mythological heroes. On the one hand to the colonnade is a powerful staircase, decorated with figures of Hercules and Flora, on the other — "quiet ramp" (ramp), created specifically for Catherine II, which at the end of life has been difficult to climb to the second floor. 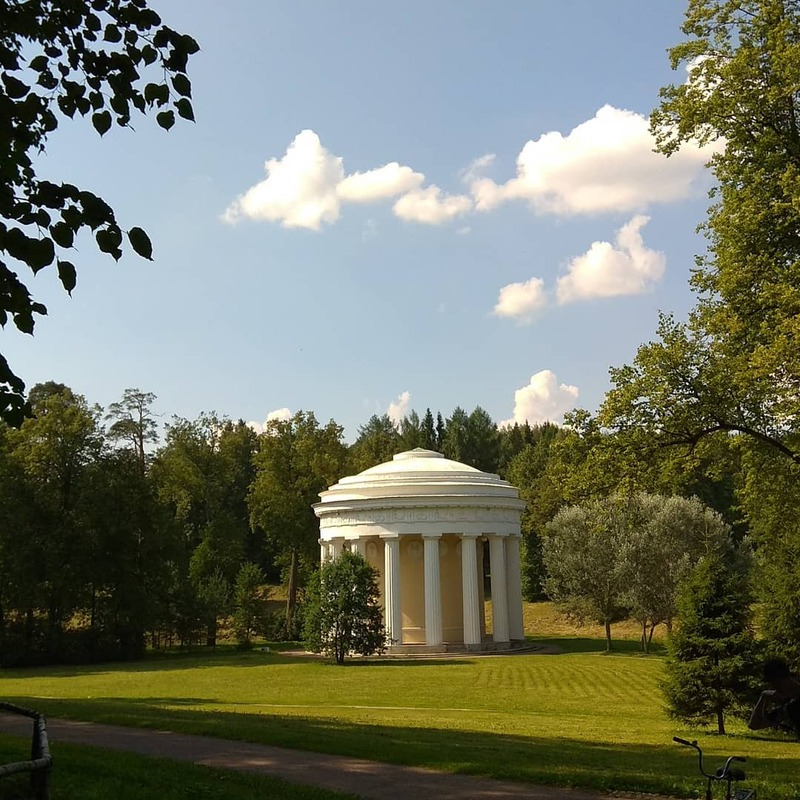 In addition to Tsarskoye Selo, Charles Cameron built a temple of Druzhba in Pavlovsk. 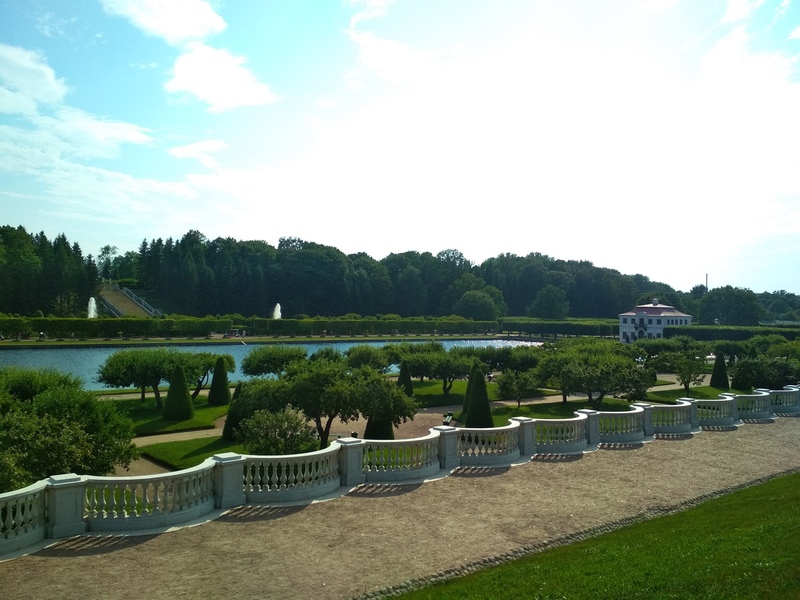 Its architect was ordered by the owner of these lands — Grand Duke Pavel Petrovich. It was his peculiar gift of his mother Catherine the great in gratitude for the granted estate. Cameron built a pseudo-romantic rotunda, decorated with an elegant colonnade, the walls of which were decorated with sculptural medallions with images of allegorical subjects dedicated to the Empress. And in one of the niches is a statue of Catherine II in the image of the Roman goddess Ceres. The space above the doors was decorated with an inscription of bronze gilded letters:"Love, respect and gratitude was dedicated". During the revolution, it was lost, but not so long ago, the restorers managed to fully restore it. In the XVIII century, pastoral pavilions-deceptions were in fashion, behind the modest walls of which a luxurious interior was hidden. 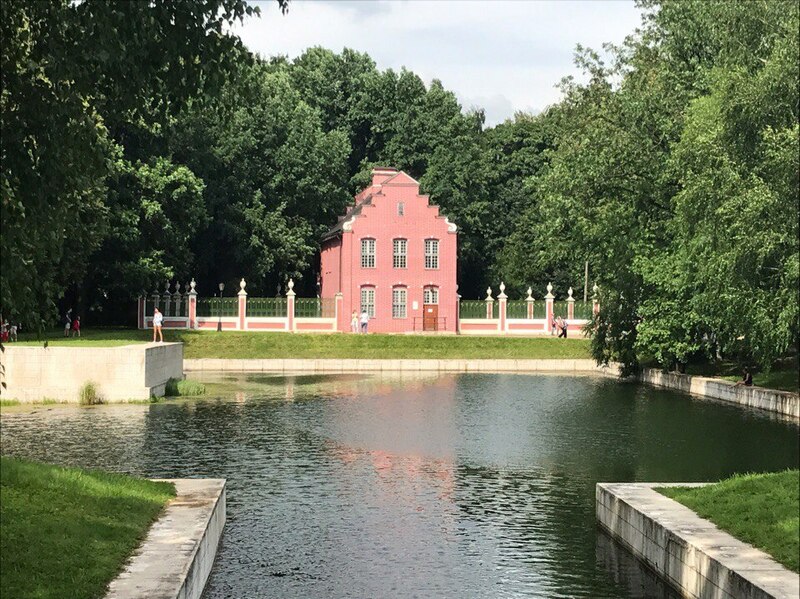 One of these buildings was a Berezovy house in Gatchina Park, created by decree of Paul I. it looked like a large folded wood, inside the abundance of mirrors, gilding and generally luxurious decoration. 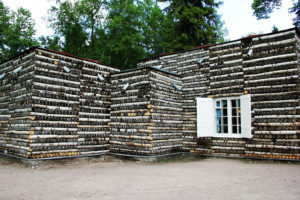 Guest Gatchina Francisco de Miranda wrote: "we got in the rain to the hut, which looks like outside stacked logs, but inside this room is rich and elegantly furnished: sofa, mirrors, and so on." The architect of the Berezovy house is unknown, and the possible authors are listed Vincenzo Brenna, Nikolai Lviv and Henri Francois Viola. During the war, the house was destroyed, and recreated it according to the surviving drawings in Soviet times by architect Alexander Kedrinsky. The pavilion of the roller coaster is only a part of the grandiose entertainment complex built by Antonio Rinaldi in 1762-1774 by order of Catherine II. In addition to the pavilion, there were four wooden slides (one straight and three wave-shaped) 20 meters high and covered galleries. It is interesting that we rode from the hills not in winter, but in summer, in specially designed gilded carriages. The appearance of these carriages were quite diverse — from the triumphal chariot to simulate wild animals. The roller coaster was actively used until 1801, then it became unusable, and in the 1850s most of it was dismantled, leaving only the pavilion-a white and blue building in the Baroque style with a bell — like dome. 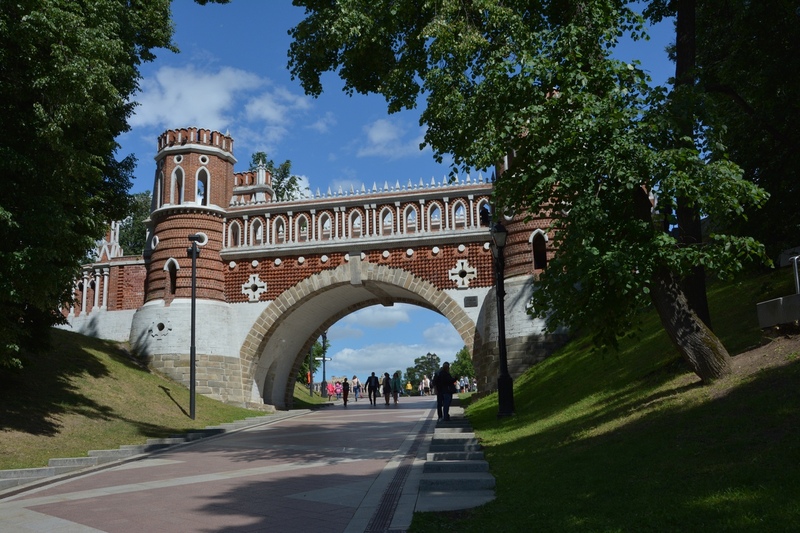 This neo-Gothic bridge Vasily Bazhenov considered one of the key elements of the architectural ensemble in Tsaritsyno. He built it in the form of a powerful fortress structure with high pointed towers. 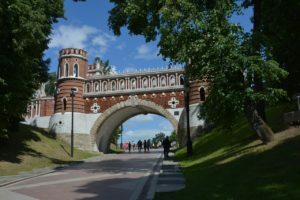 Thanks to the rich decor-numerous columns, carved cornices and obelisks, as well as a combination of brickwork with white stone ornaments, the bridge was called "Figurny". 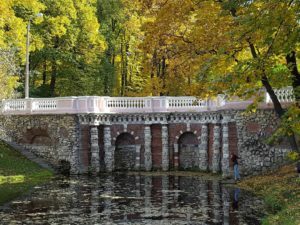 If other Tsaritsyn buildings were rebuilt several times later, this bridge has reached our days in almost the same form as it was built by Bazhenov in 1776-1778. The Gollandsky house was built in 1749, and it became the earliest of all the remaining manor buildings in Kuskovo. The building resembled the house of a rich Burger with a stepped pediment (the upper part of the facade, limited by the roof), Windows with small glass and painting "under the brick". A Dutch garden and a small vegetable garden were laid out around the house. The interior decoration of the building was made in the Dutch tradition, covering the entire surface of the walls with ceramic tiles. However, the Dutch themselves usually used tiles in the interiors only small inclusions. 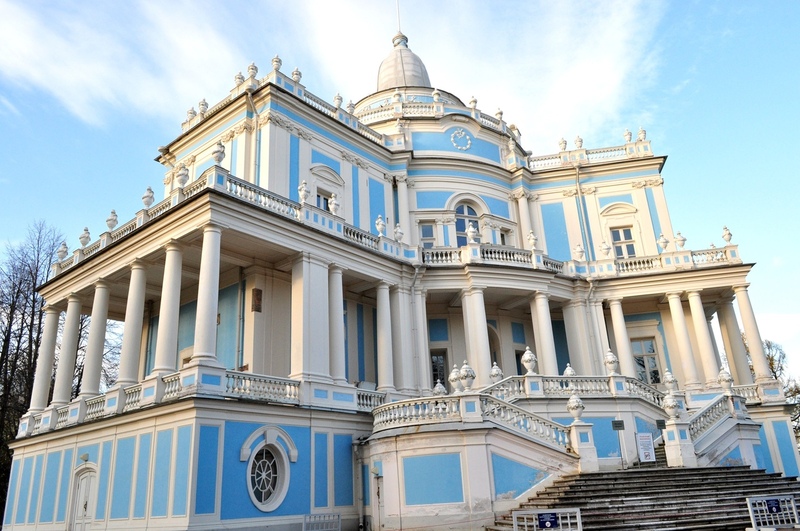 Small Palace" Caprice " in the estate Archangel built by architect Evgraf Tyurin in 1819. Rather, he reconstructed the old Park pavilion, built at the end of the XVIII century, adding another floor. In the "Whim", a kind of reincarnation of the popular in the XVIII century, the Hermitage, there was a living room, a billiard room and utility rooms. Subsequently, due to financial problems, the owners of the estate, the princes of Yusupov, began to rent out the "Caprice" in the summer. At that time, numerous sculptures and decorative vases decorating the entrance to the building were transferred to the upper terrace of the estate. 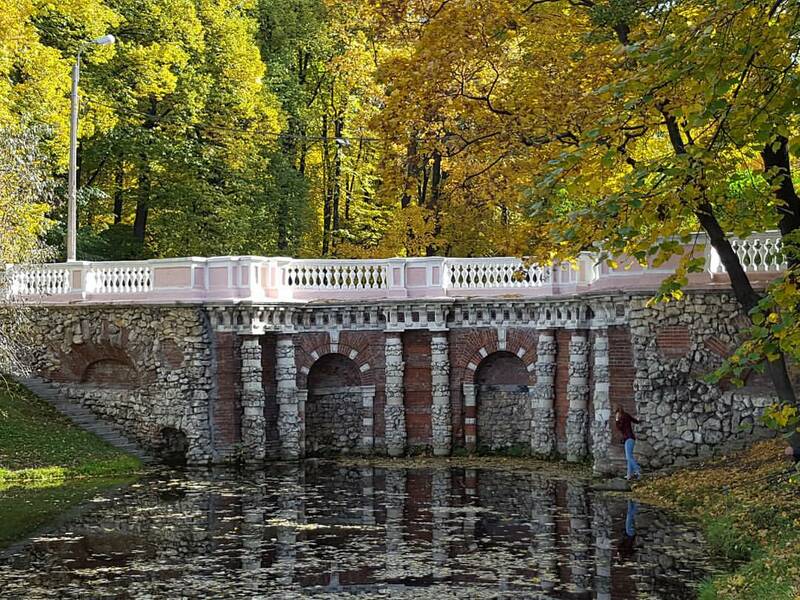 The first Park grotto in Lefortovo with fountains and statues was built by the architect Nicholas Bidloo in 1720. In 1733 it was rebuilt by Francesco Bartolomeo Rastrelli, so today this building is named after the famous Italian architect. In our time, the grotto looks much more modest than at the time of its construction. Previously, it was decorated with numerous statues and sculptures — Hercules, sphinxes, a dozen dolphins surrounding the fountain with a gilded newt. Unfortunately, only the lower part of the grotto with Baroque decoration and niches has survived to our days. 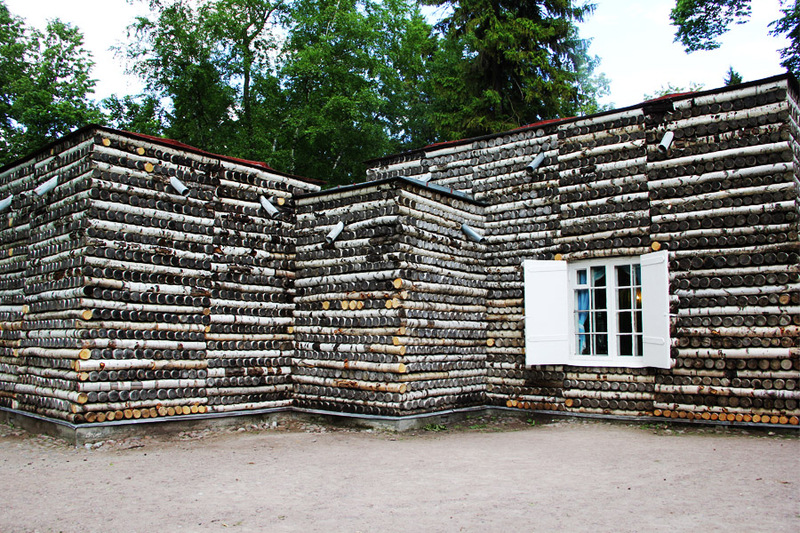 It is not known who was the author of the original project of the Egipetsky pavilion. Perhaps this is one of the founders of the Russian Empire Andrew Voronikhin. The architect of most of the buildings of the estate Kuzminki Domenico Gilardi finished his work in 1813. The pavilion was built in the Empire style, and its name was due to the ancient Egyptian motifs in the decor: the head of the Sphinx on the pediment, palm-shaped columns and other elements. Originally the building was used as a kitchen in the basement stored the food, on the ground floor was prepared, and the second was assigned to the apartments kuhnistroi, the Prince of cooks.